Do you sell a 5/16" x 1-1/8" Eye bolt that meets a temperature limit of -40? 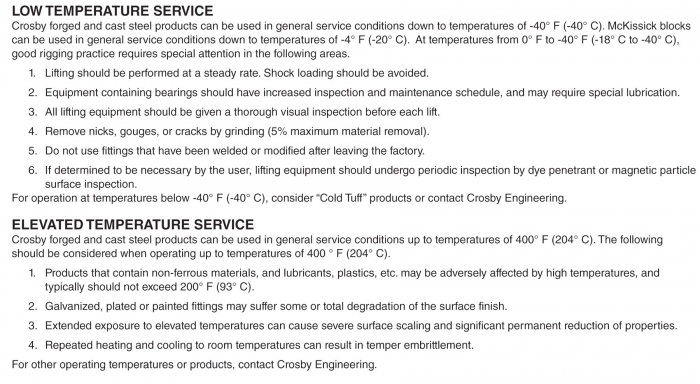 Crosby does rate their products to -40ºF. Please see the attached image, which is text captured from the Crosby general catalog.